Educate and train youth in all aspects of newspaper production including photography, journalism, computer layout and design, desktop publishing, and editing. Develop and nurture the artistic, writing, and cognitive skills of youth participants. Allow for community residents to voice, document and express their creativity, history, social concerns and thoughts through the submission and publication of poetry, articles, and artwork. El Placazo Community Newspaper is a community-operated newspaper designed as an educational tool for participants interested in developing skills in all aspects of newspaper production. The newspaper serves as a unique outlet for our participants to express themselves and to document their culture. Through their work with El Placazo, participants develop self-efficacy / esteem through self-identification and the development of communication and cognitive skill building. The process of El Placazo instills positive work ethics and responsibility, and challenges youth, adults, and elders to investigate, uncover and translate both the beauty and the ills that make up our community. General subscriptions are $20 dollars, and $5 for inmates, upon request. 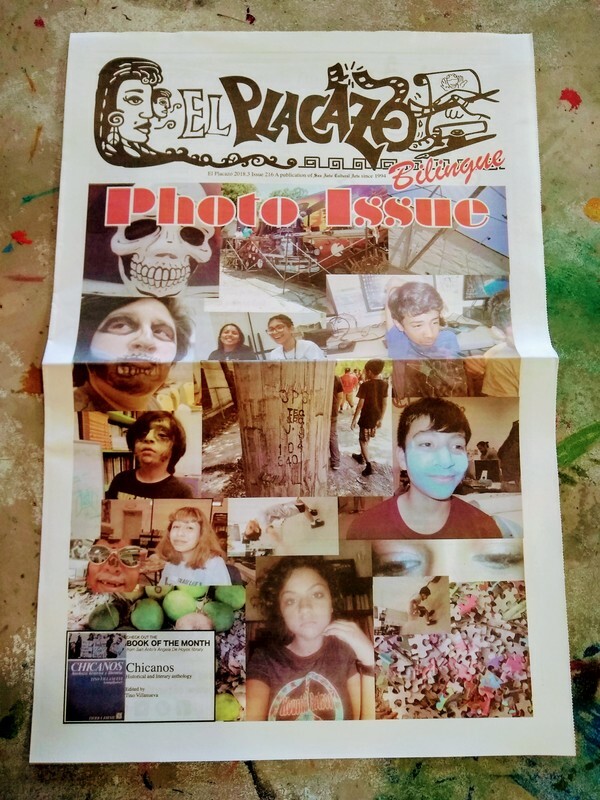 To become part of the El Placazo Newspaper Program as a youth staff member, a writing, photography or layout/design mentor, or a general volunteer, please contact San Anto Cultural Arts at 226-7466 or elplacazo@sananto.org.